The festivities of Christmas are enhanced by appropriate decorations. Christmas trees, lights and Merry Christmas banners add to the spirit of the season. You can cut down your holiday expenditure by designing and creating your own banners. Lots of free templates are available on the internet. 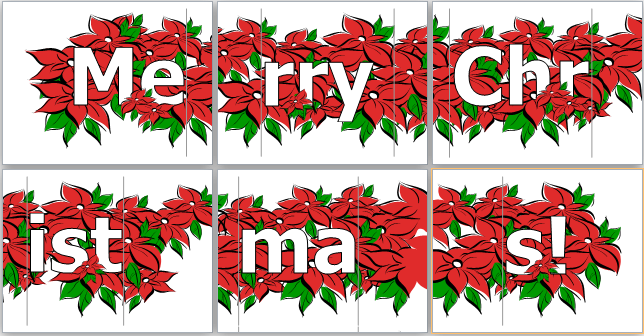 Simply alter and customize the templates to make your very own Merry Christmas banner. In addition, you can also get hundreds of creative ideas. It can be a fun activity for the entire family. Look for templates or ideas and create eye-catching banners. These banners can be created on fabric material as well as paper. It is a great way of decorating the house if you are hosting a Christmas party. Put the banner up on Christmas Eve to instill a spirit of festivity. For this purpose, you need to design and create your banner days ahead of the main occasion. Therefore, get started with the task as soon as December begins. As you look up for ideas on the internet, you will find plenty of designs. It is going to take lots of time to have a look at each amazing idea. Finally, when you choose your design, some time will also be required for customization and printing. You can use the same Merry Christmas Banner next year as well. Conversely, you can create a new one every year. Since there are so many lovely ideas, you should try one each year. You can also design a banner for your friends or neighbors.